Our Poppyseed Waldorf Salad recipe is a delicious blend of grapes, apples, celery and poppyseed dressing. 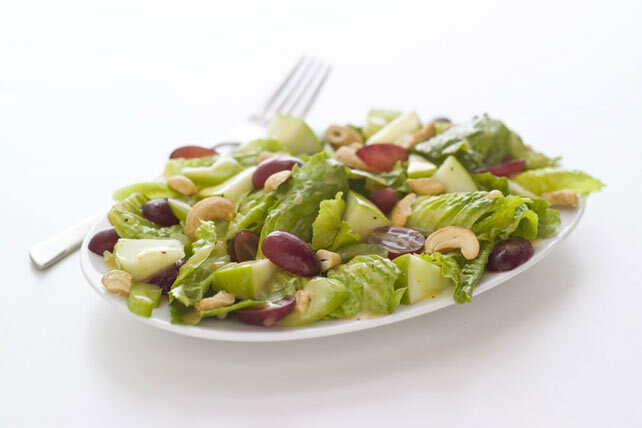 Roasted cashews add a tasty crunch to this easy salad recipe. Combine all ingredients except nuts in large bowl. Substitute 1 cup sliced fennel for the celery. Substitute walnuts for the cashews.